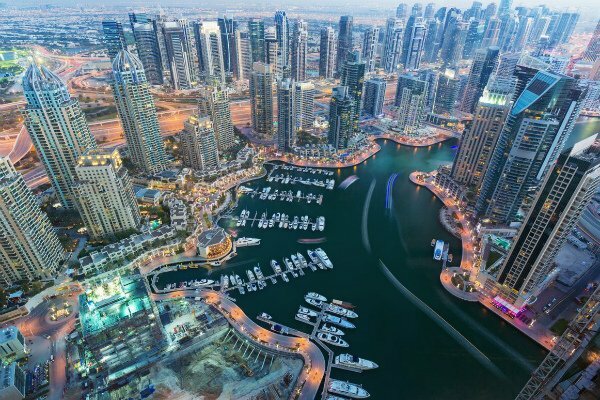 Off-plan real estate sales in Dubai’s residential property market dropped by 30 per cent year-on-year in 2018, according to a new report by consultancy Core. The report stated that while off-plan transactions increased significantly between 2016 and 2017 – reflecting a large number of developments that were launched and absorbed over the years – there was a reduction in off-plan transactions activity last year, even as the overall market slump continued. While there are “lucrative deals” to be had in the off-plan market, the slowdown in sales shows a higher preference for buyers opting for ready units or units reaching completion, as buyers prefer immediate occupation, Core said. “This slowdown in off-plan transactions reflects two trends, the first being that there were fewer off-plan launches in 2018 compared to previous years – albeit, due to market strengthening regulations,” said Edward Macura, partner at Core. Most off- plan inventories are now focused on the affordable and low to mid-market options, the report stated. Overall, the report found that 21,700 residential units were delivered in 2018, the highest number of deliveries since 2011. Approximately 83 per cent of them were apartments, while 17 per cent were villas. Dubailand witnessed the highest number of deliveries with over 25 per cent of the total stock, followed by Jumeirah Village Circle and Triangle (13 per cent. Prominent handovers included multiple project deliveries in Damac Hills Master Development, Hayat Townhouses, Bluewaters Residences and Oia Residences in Motor City. The last year saw “landmark reforms, with the UAE government announcing a number of resident and investor friendly initiatives”, the report stated. “These reforms are expected to have a far-reaching positive impact on business sentiment, tourism volumes, investor profiles and the talent pool that the UAE will attract and retain. While other demand-side indicators such as GDP, population and secondary sales volumes also display steady growth, supply-side deterrents continue to impact the market – a trend expected to linger over the near term,” it stated. For 2019, Core estimates over 28,500 units (against an announced number of 56,000 units) will be handed over by the end of the year. Around 81 per cent are expected to be apartments, while 19 per cent are villas. The majority of the deliveries are forecast to be in the affordable to mid-market segment in the outer areas with Dubailand and Jumeirah Village Circle and Triangle accounting again for one-third of all handovers. Core also expects rents to remain under pressure in 2019 with the market continuing to be tenant friendly. Landlords are expected to reduce rents during renewals to retain tenants and maintain occupancies, with many also open to multiple check payments. In the sales market, transaction volumes will “remain resilient”, particularly in the secondary market as demand drivers such as steady oil prices, continued government spending and investor/occupier friendly regulations help absorption, the report said. But with existing unsold stock and inventories brought to the market over 2018 – 2020, “sales prices are forecast to remain under pressure in the foreseeable future as the market gradually adjusts to supply and demand dynamics”, it added. Macura said: “2019 and 2020 are critical years in Dubai’s growth trajectory. Although the pace of price softening has relatively slowed, we expect a lag in sales and rental price recovery as existing vacant stock and future supply over the next couple of years is expected to outpace steady demand. “That said, the market is highly occupier friendly due to the wide variety of options now available at very competitive prices with higher levels of flexibility offered by both developers in new launches and landlords in the rental market,” he added.